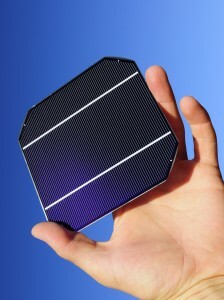 Solar power is the most abundant and reliable form of energy. Enough solar energy reaches the earth’s surface in one minute to power all of humanity’s needs for an entire year. The challenge lies in harnessing this energy, which is achieved with the help of photovoltaic (PV) cells. Solar power works by using PV cells which are made of special materials called semiconductors (with silicon being the most commonly used). When light strikes the cell, a certain portion of it is absorbed within the semiconductor material. The absorbed energy knocks electrons loose, allowing them to flow freely. PV cells have one or more electric fields that act to force electrons freed by light absorption to flow in a certain direction. This flow of electrons is a current, and by placing metal contacts on the top and bottom of the PV cell we can draw that current off to use externally. 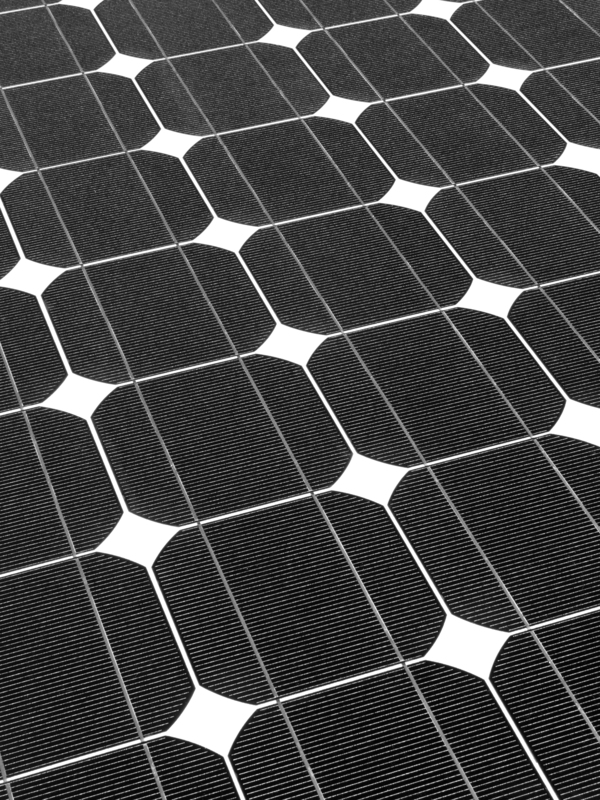 In order to produce a usable amount of power, numerous PV cells are permanently connected together to form a PV module. These are commonly referred to as “solar panels”. PV arrays are created by connecting multiple modules together, thus increasing the total power of the system. Arrays comprised of 20-50 modules are usually adequate to power the typical residence or small business. The generated power is sent to an inverter, which converts it from DC to AC power. This makes it compatible with our appliances and electrical equipment. It then flows to the electrical service panel, where it can be distributed to any loads within the home or office. You’re service panel will remain connected to the grid, so at times when you’re not producing electricity (e.g. night), you’ll still purchase it from the utility. 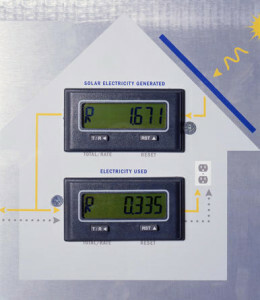 But at times when you are producing, you’ll see your meter run backwards, and the utility will purchase your excess power at the same price they charge you!